Krystle is a double-board certified and licensed occupational therapist. She graduated from Wilfrid Laurier University with a bachelor’s degree in Sociology and Psychology. She earned her masters in Occupational Therapy at Queen’s University in Kingston, Ontario, Canada in 2009. Her experience working within the health care systems of Canada and the U.S. give her a unique perspective on achieving a true client-centered therapy approach. 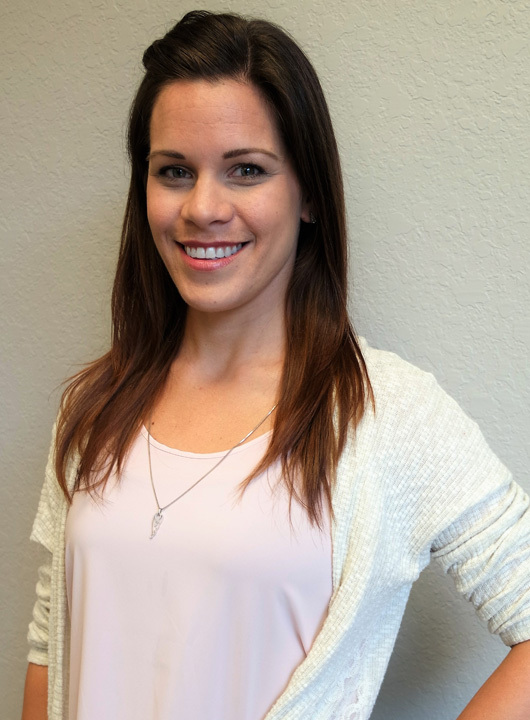 Krystle is trained and certified in Microcurrent Point Stimulation (MPS/ETPS) treatment, Myofascial Release, Therapeutic Listening, Interactive Metronome and the S.O.S. Approach to Feeding. She is also experienced using the Handwriting Without Tears and ALERT programs. She is dedicated to continued learning and is a proud member of the American Occupational Therapy Association (AOTA) and the World Federation of Occupational Therapists (WFOT). Sensory Integration Solutions, Feeding therapy, Aquatic therapy and Functional life skills coaching are areas of special interest. When she’s not providing occupational therapy services at FOCUS, Krystle can be found outdoors in the sunshine, teaching dance lessons, visiting her family in Canada or completing DIY projects at home with her loves, Erick, Ethan and furry baby. She has a lifelong passion for dance, art and overall holistic health and wellness. She loves combining the movement principles of dance, yoga, and sports to achieve functional movement and increase clients’ self-esteem and believes that focusing on strengths and using creativity is the recipe to keeping therapy meaningful and FUN!